As a specialist engine tuning company and builders of highly competitive racing motorcycles we understand that, the engine is only one part of the equation when it comes to making a fast motorcycle. There’s no point in having power unless you can make best use of it. Suspension is one of the critical areas of a motorcycle’s dynamics that enable you to exploit a powerful engine – in terms of braking, corner speed, stability, and the ability to get the power down when required. Road and Race Performance offer a range of suspension and handling services including professional lazer wheel alignment, servicing, rebuilding and upgrading or supply and fit of replacement suspension components, all set up to suit you and your bike. 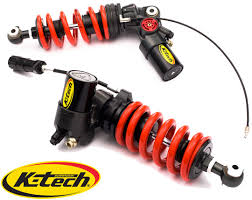 Road and Race Performance are renowned suspension experts who can correctly set the front and rear static sag then make adjustments to compression and rebound damping to allow controlled and compliant movement of the units. 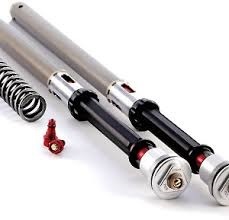 Your bike's suspension will be optimally set up specifically for you and your bikes application. "Thanks to RRP for building and tuning both of my championship winning bikes"